SOUGHT-AFTER SCHOOL DISTRICT AND CHANCE TO MAKE THIS YOUR OWN. SPACIOUS TOWN-HOME IN WASHINGTON SQUARE HAS A FULL-SIZE LAUNDRY ROOM, NEWER CARPET AND UPDATED LAMINATE IN THE DOWNSTAIRS AND GENEROUS FENCED-IN YARD WITH BACK PATIO. TWO LARGE MASTER SUITES UPSTAIRS WITH WALK-IN CLOSETS. GREAT POTENTIAL FOR UPDATES AND UPGRADES! HOME WAS A CONSISTENTLY RENTED PROPERTY, SO ALSO AN EXCELLENT INVESTMENT IF HGTV IS NOT YOUR THING. Ready to visit 805 Westminster? Request a free property tour! Send me more information about the listing at 805 Westminster, Virginia Beach, VA 23454, MLS# 10239486. 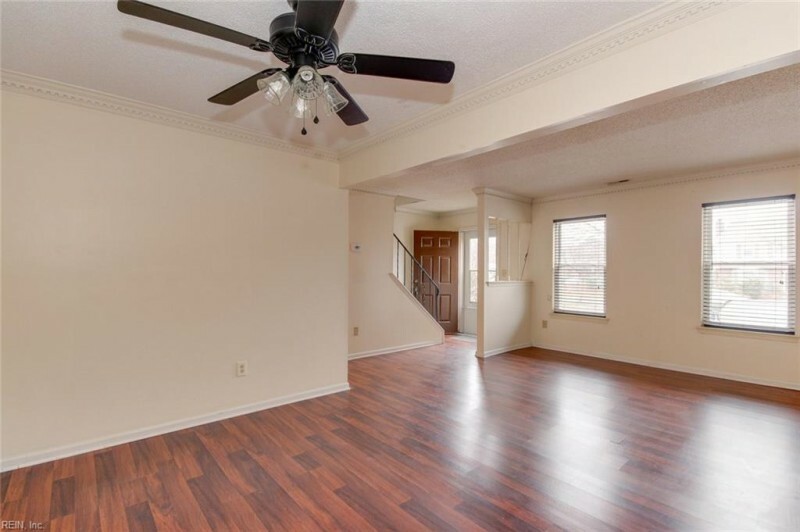 This 2 bedroom, 3 bathroom home located at 805 Westminster, Virginia Beach, VA 23454 has approximately 1,623 square feet. It is currently listed for $162,000 and has a price per sqft of $9,982. This home is currently Sold under the MLS#: 10239486. This listing is provided by Rose & Womble Realty Company. 805 Westminster Lane, Virginia Beach was built in 1982. It has 2 Space, Driveway Spc, Street parking.The kitchen includes Disposal, Dryer Hookup, Elec Range, Refrigerator, Washer Hookup. 805 Westminster is part of the Washington Square neighborhood located in 23454.